Astec is a unique organisation with its staff qualifications and backgrounds combining to provide a skill base that can source and custom fit equipment to suit you, the client. We are a group of like minded, highly skilled and qualified individuals that make up an altruistic business that has supported Ballarat and district for more than 25 years. We provide very special solutions for very special people and these qualities are available to all customers, no matter what the requirement. 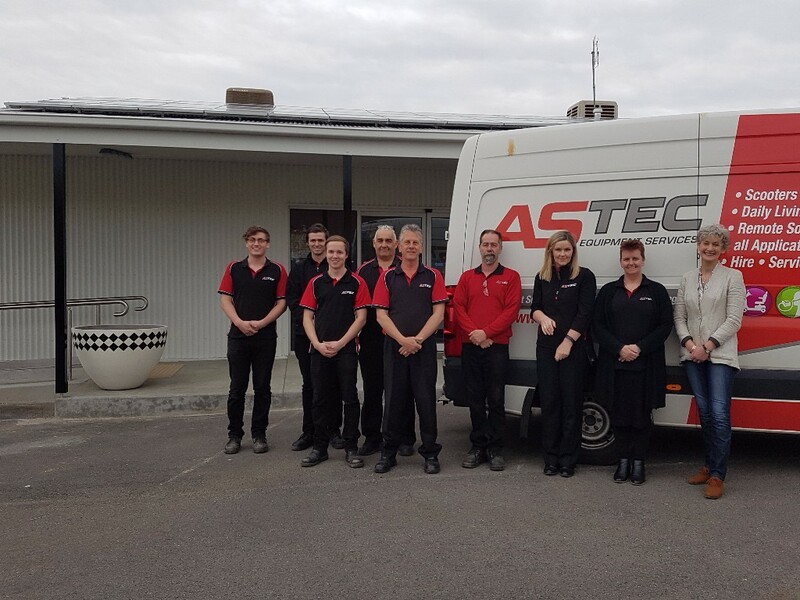 Astec has a very broad customer base that includes Ballarat Health Services, PINARC, Ballarat Specialist School, Department of Human Services, Department of Veteran Affairs, TAC, local industry and private scooter and wheelchair users. Astec is in demand by various manufacturers to carry out their warranty and repair work. Our specialisation is customised solutions made specifically to suit each client. These solutions come under many different areas, such as manual or electric wheelchairs, vehicle modifications, home modifications and electronics. We approach every situation with a can do attitude, so that we do our best to make the solution to suit your needs. A long association with Magic Mobility, Permobil and Ottobock means that Astec Equipment Services can provide specialised custom wheelchairs. Each client is extensively consulted and measured and the chair constructed so that the end result is a chair that will provide years of daily community access with maximum comfort. Astec also stocks a large array of the Shoprider & Trek electric scooters. We also undertake modification work and in conjunction with occupational therapists and have designed and produced many one-off assistive items. Astec operates a large modern workshop with trained technicians where all aspects of equipment repair are carried out in house. Operating throughout the region from Melton to Horsham and Bendigo to Warrnambool covering all towns in between, various courier services freight jobs into our workshop. On site work can also be done on request by one of our 6 vans on the road.